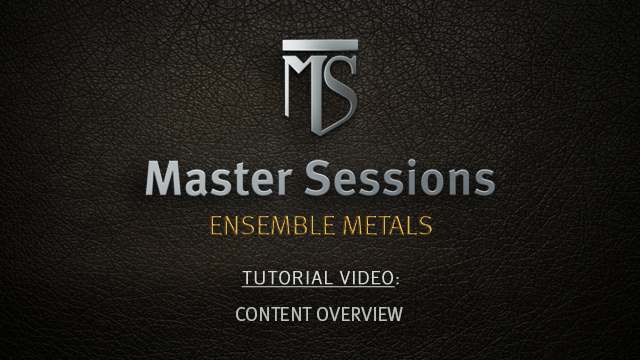 What is Master Sessions: Ensemble Metals? Master Sessions is Heavyocity’s boutique line of scoring tools for the pro composer. 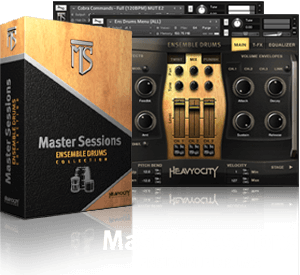 Recorded in New York City, the Master Sessions series focuses on specific instruments and ensembles housed in Heavyocity’s award-winning engine (powered by Kontakt). Master Sessions delivers an epic sound without the epic price! From intricate, piercing highs to thunderous booming lows (and nearly everything in between), Master Sessions: Ensemble Metals sets a dynamic new standard for cinematic percussive metals. Complete with 12 unique multi-sampled metal ensembles and over 300 tempo-synced loops, Ensemble Metals is the diverse new chapter your library of percussion elements has been waiting for. Captured in simultaneous six-player ensembles, and then processed with Heavyocity’s signature sound design skill, Master Sessions: Ensemble Metals is THE must-have metals instrument for the serious cinematic composer. The 12 ensembles on this music score creator software run the gamut of epic and punchy (kegs & trash cans), to sharp and penetrating (railroad spikes & pipes). These ensembles ooze with playable metallic character, and are presented in both menu and single kit presets, providing complete mastery of your sound. 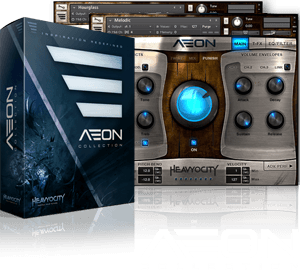 Mix and shape your sound using Heavyocity’s proprietary interface containing global effects (reverb, delay, distortion, and chorus mod), per-metal EQ, per-channel ADSR, TriggerFX, and the signature Punish and Twist knobs. Master Sessions Ensemble Metals has loops that contain over 300 tempo-synced phrases arranged in menu and single loop presets. As an exciting new feature, the content is now divided into straight and triplet loops. Rearrange and adjust the loops by slice with Heavyocity’s signature “Loop Mutator”. Dial in the Trigger FX, master effects, filter modulation and ADSR for radical sonic results. With this music score creator software, you can layer massive kits with hybrid loops to create huge walls of percussion. Mix and match loop “stems” to build your own unique combinations of tempo-synced rhythms. Master Sessions: Ensemble Metals’ user interface was designed FOR composers and sound designers BY composers and sound designers, providing simple, intuitive ways to alter the sounds without leaving the interface. Three levels of effects are intrinsically bound to the Kit and Loop components — apply effects globally, engage the Trigger-FX, or tweak individual sounds. This music score creator software allows you to globally affect the preset with one of the 4 Master FX (Delay, Mod, Drive, and Convolution). You have control over four effect-specific parameters (like effect amount, rate, size, or depth). Dial in the aggression with the signature “Punish” Knob, a combination of saturation, distortion, and compression. Or, modulate the shape of the sound with the “Twist” knob. Sculpt your sound with per-channel and per-loop EQs or add sizzle and punch with the 4-band Master EQ. Control the modulation of filters with an envelope or LFO in Ensemble Metals - Loops, altering the amount and rate of an LFO, or trigger the Filter with an ADSR envelope. Master Sessions Ensemble Metals has loops that offer 375 carefully sculpted percussion loops arranged into 2 main categories: Loop Menus and Single Loops. These loops, comprised of both straight and triplet grooves, are perfect for composing in any rhythmic environment. The Loop Menus are intelligently mapped and formatted into “breakout” presets, allowing you to perform the full loop in a single key or mix and match individual layers. Single Loop presets provide level, pan, and tuning for each slice, and allow you to quickly recompose your groove via midi drag-and-drop. Master Sessions Ensemble Metals was recorded at Bunker Studios in Brooklyn, NY by John Davis (not of Korn). The 3,000 square foot recording studio utilizes a wide array of analog gear, including an SSL 4040e mixing console, BAE microphone Pre’s, and a massive collection of vintage and modern microphones. The pinewood room of Studio A, boasting a huge 25’ ceiling, was the ideal environment for achieving the tight, punchy impact we desired for the Ensemble Metals Collection. The Heavyocity team performed all the percussion found in the Master Sessions Ensemble Metals collection. Each ensemble consists of round-robin performances at multiple velocities. Close, room and ceiling-mounted X-Y mics created the perfect capturing environment for the massive ensembles.